Brand Profiler is the choice of professional researchers worldwide for user friendly, rapid analysis and production of brand by attribute or attribute by brand profile charts directly from Excel tables. 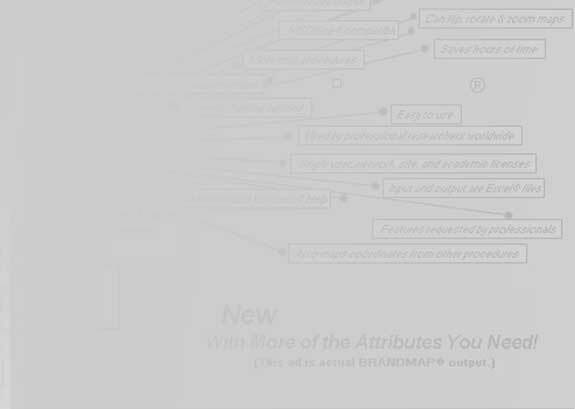 Brand Profiler helps researchers develop new insights from their data by stripping out the masking influences of brand size and other data distortions. Both arcsin and chi-square methods are supported. New with version 2 are automatically generated radar charts of both absolute values and deviations from expectations. Brand Profiler 2 has a new Office 2007 ribbon interface and is fully Office compatible. No need to “OK Macros” when loading Brand Profiler! Labels can be individually or globally edited, bolded, underlined, italicized, boxed, etc. Produces an annotated table of differences indicating maximums and minimums. Working within Excel, Brand Profiler provides for easy data access or entry, fast calculation and presentation of charts. Just highlight your data table (complete with labels) and Brand Profiler calculates the relevant statistics and produces fully automatically labeled, presentation ready charts. There is extensive flexibility provided both in terms of calculation options as well as in the graphical output. BrandProfiler provides completely presentation ready output. (See the image above for the BrandMap advertisement which was produced entirely with BrandProfiler and Excel!) Excellent quality output is provided to laser and color printers. BrandProfiler displays the relative strengths and weaknesses of brands on their attributes by mathematically determining the degree to which the brand standings differ from expectations. The program automatically produces output of 1 chart per brand with bars for each attribute or 1 chart per attribute with bars for each brand. Note! Version 2 requires Excel XP (2002) or later, Windows 98, NT, 2000, XP or Vista.